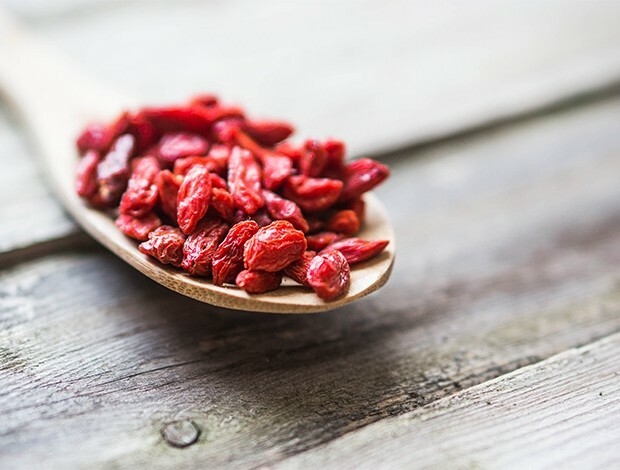 Wellness gurus love a goji berry. As fruits go, they’re very double-tappable. But wellness gurus like a lot of things, not always for reasons that are verifiable by science, and will frequently throw anything in their smoothies so long as it sounds good. (Just what is ashwagandha powder, anyway?) So, assuming it had been lumped in with a load of other NutriBullet nonsense, we never really gave the goji berry a fair hearing. But now it’s time to admit that we were wrong. Recently discovered fat-burning properties have given the fruit’s credentials a scientific bump. Not only will it help you lose weight, it also has the power to spot-reduce fat from your waist. And that’s the kind of benefit we can get behind. According to research published in Oxidative Medicine and Cellular Longevity, just 14g of berries a day will lower your levels of bad (LDL) and very bad (VLDL) cholesterol, as well as reduce fat-creating triglycerides in your blood. Add a handful to a normcore smoothie of banana, almond milk and protein powder and you can cut 3cm from your waist in just two weeks. Keep it up for another month and that will double to an incredible 6cm. With waist size increasingly used as an indicator of overall health, this breakfast fix could be what finally delivers you back into 32in jeans. Stick that in the blender, gurus.